2018 Peace Fellow Marcela De Campos (University of Maryland School of Public Policy) standing with the AEPD team and Mr Thin, who received a cow this past summer through AEPD. 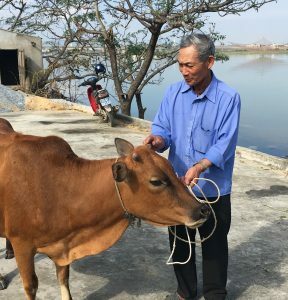 Read more about our work on Agent Orange! AP’s work on Agent Orange began in 2014, when we commissioned a needs assessment of 500 affected families in the province of Dong Hoi. 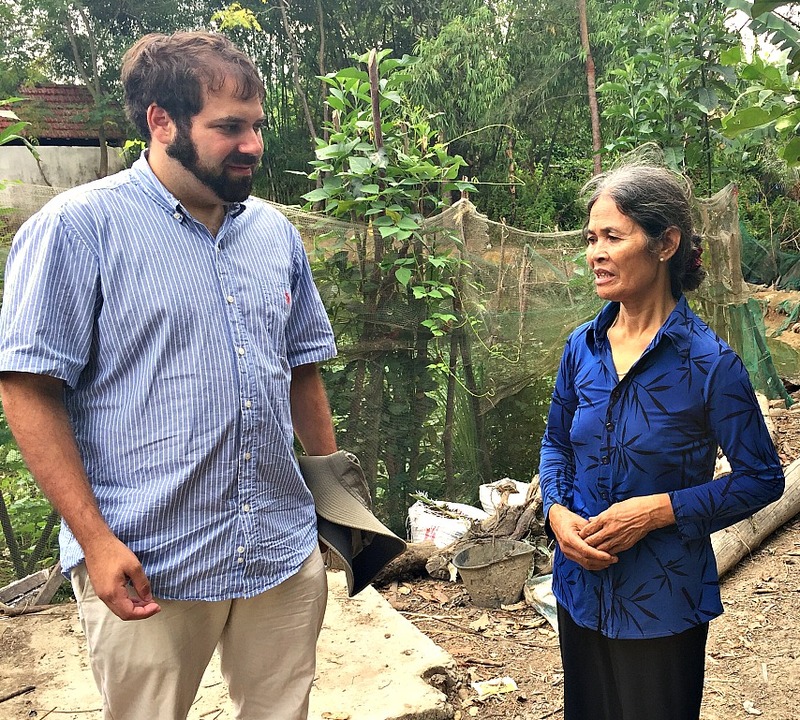 Helped by Peace Fellow Seth McIntyre, our Vietnamese partner, the Association for the Empowerment of Persons with Disabilities (AEPD) then selected ten particularly vulnerable families for a pilot project. Since then we have worked with these families to put a human face on the tragedy of Agent Orange and invest in the caregivers. They have proved to be an excellent investment! We have raised over $15,000 for twelve families, thanks to the inspired fundraising of Peace Fellows Marcela De Campos, Jacob Cohn, and Ai Hoang. Most recently, Marcela’s funds enabled Mr Thin to purchase a cow, which helps to pay for his sons’ medical treatment. 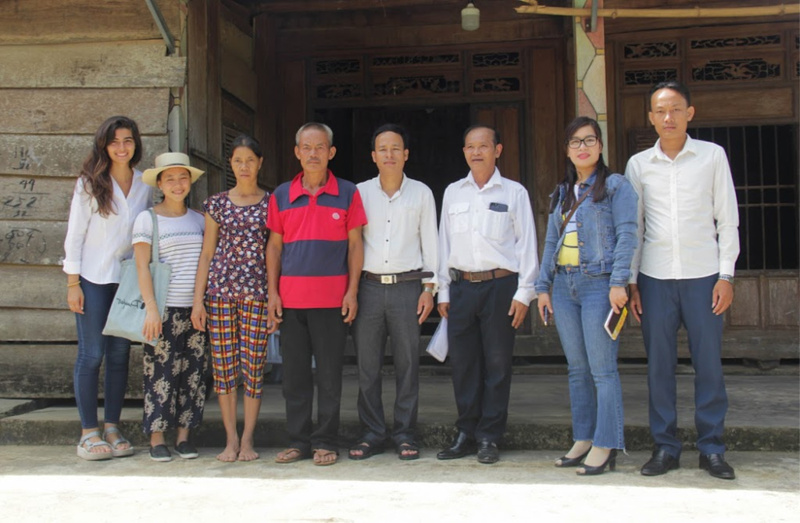 The 2019 Peace Fellow will work with AEPD to visit the twelve families supported by AP , evaluate the success of each intervention, update profiles on the AP and AEPD websites and raise funds for a new family. 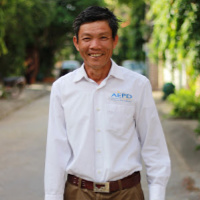 The fellow will also help AEPD to design and implement a micro-finance program for women caregivers of Agent Orange Victims..
Mr. Phan That was exposed to Agent Orange during the war and has passed dioxin poisoning to his son, Pham Van Linh, 31, and his daughter Pham Thi Linh, 37. 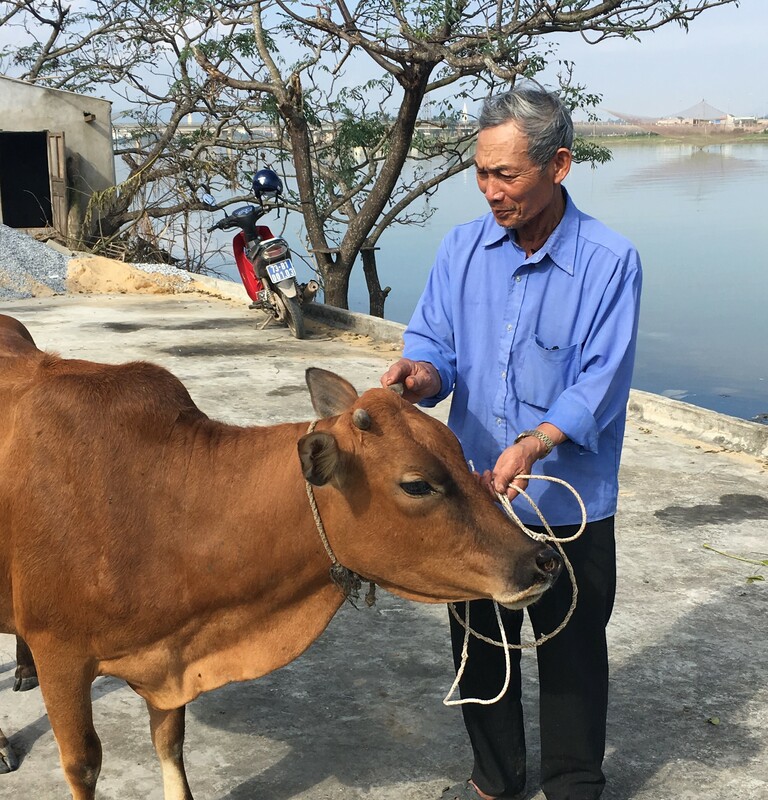 He was supported by AP in 2018 with a cow and calf. Mr. Luu (right) stepped on a landmine at the age of 7 and lost one arm and three fingers. He is an AEPD outreach worker and an advocate for persons with disabilities. “It was an incredible privilege to work with people with disabilities in Vietnam and other development professionals. 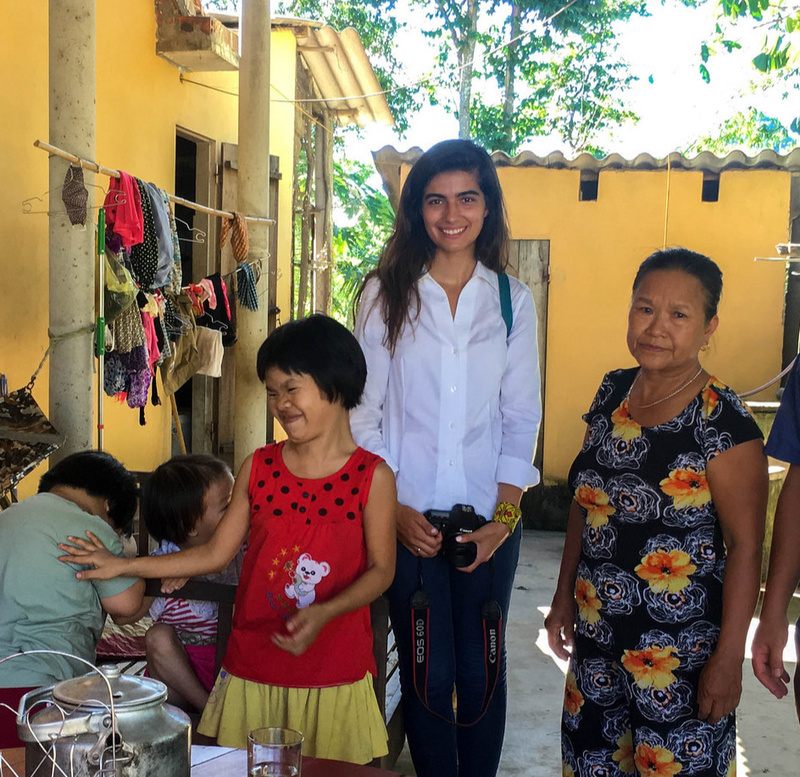 I took away technical experience and lifelong friendships.” – Marcela De Campos, the 2018 Peace Fellow in Dong Hoi.